« Summer of 1999 anyone? Stevie Wonder is one of those musicians who is prone to being taken for granted. He has been around long enough to be a household name across three generations of music lovers and he is still performing. Wonder’s concert on Tuesday night in Toronto was a stirring reminder that he and his body of work are so much more than a familiar background. 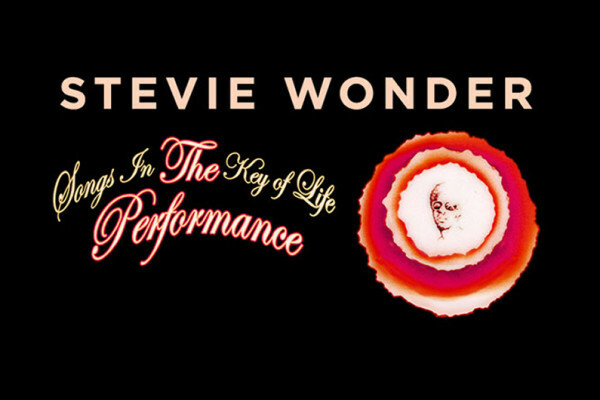 It was especially fitting that he chose to perform his 1976 masterpiece, Songs in the Key of Life (Motown) for this 11 city tour. Songs is one of the most celebrated albums in pop music, voted to the top of numerous lists, including Grammy for album of the year in 1977 against now legendary competition like George Benson’s Breezin (Warner Bros., 1976), Bozz Scagg’s Silk Degrees (Columbia, 1976), and the rock classic Frampton Comes Alive! (A&M, 1976). With this tour, Wonder brings this work to new life in the vibrancy of a live show. This is where Wonder’s currency hits home. He is, above all, a great songwriter and musician. This show proved it all over again. Wonder performed the entirety of the album, mostly in order, including the four extra tracks on the special edition of the album. The concert’s run time was 3 hours including a short intermission and an encore. Aside from the songs themselves, the performances of Wonder and his collaborators made this a simply excellent show. Wonder’s energy and power never waned, despite a slight hoarseness in his speaking voice when addressing the audience between songs. Original session musicians from Songs, Greg Phillinganes (keyboards) and Nathan Watts (bass guitar), were among the 30+ musicians sharing the stage, including an 8-piece string section sourced locally in Toronto, a 6 piece horn section, 6 back-up singers, 2 drummers, and 2 percussionists. Wonder challenged members of the string section to an impromptu jam. He proceeded to play a few phrases and was responded to in kind by the first violinist who echoed them on his instrument. The encore was a medley of hits from other albums. Wonder chose to adopt a tongue-in-cheek hip-hop persona, dubbed DJ Tick Tick Boom, as the emcee of the proceedings. The segment was hammed up enough to distance itself from the solemnity of the Songs performance but done in a way that allowed the audience to hear some other favourites. Like many others, I’ve always recognized Stevie Wonder as a “living legend.” But at some point during the show, ‘knowing’ this as a matter of common knowledge paled in comparison to bearing witness. Now I really get it.